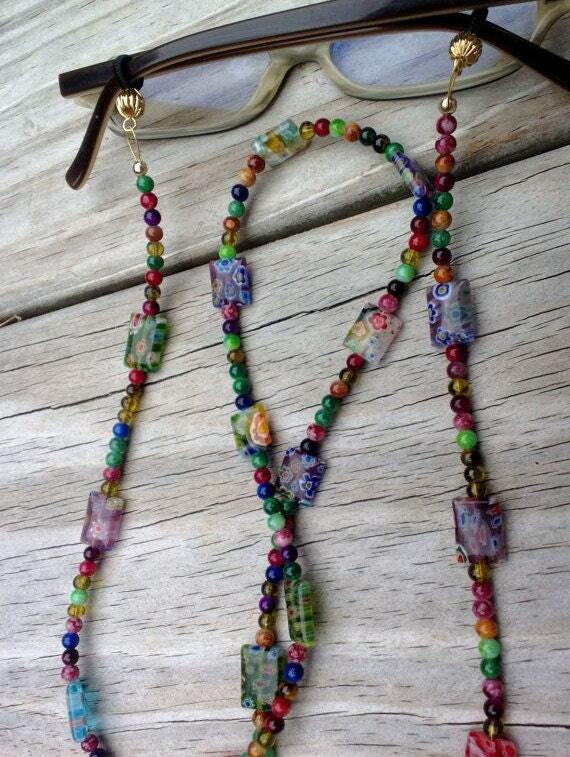 A beautiful beaded Millefiori eyeglass chain...designed to match any and every color you might be wearing! It's not always possible to include so many colors into something without it being loud or gaudy, yet this chain is pure success! 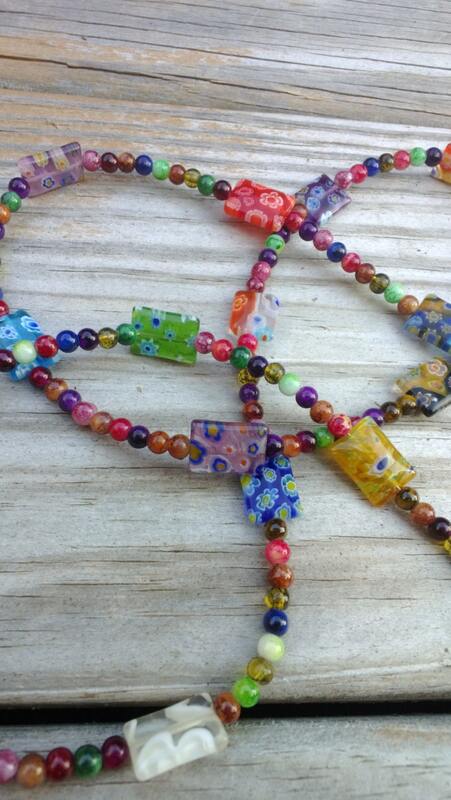 Lots of color, yet so pretty and subtle...A truly useful accessory that isn't just for looks! Entire chain measures approximately 30 inches. 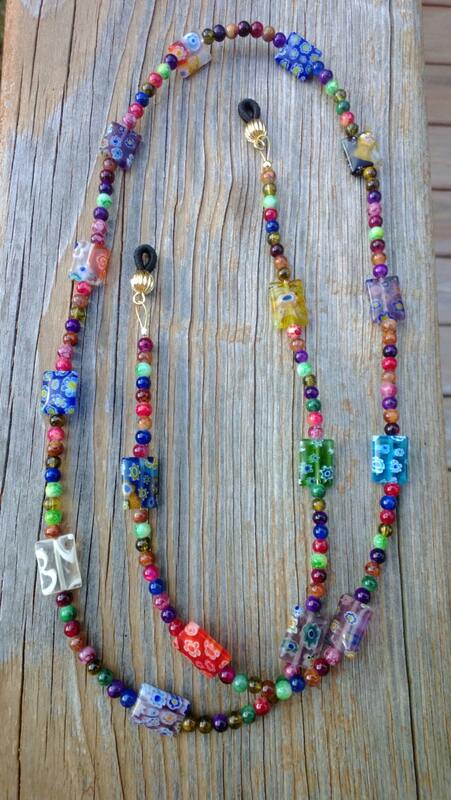 *Please note: Bead colors and order may vary from picture shown. 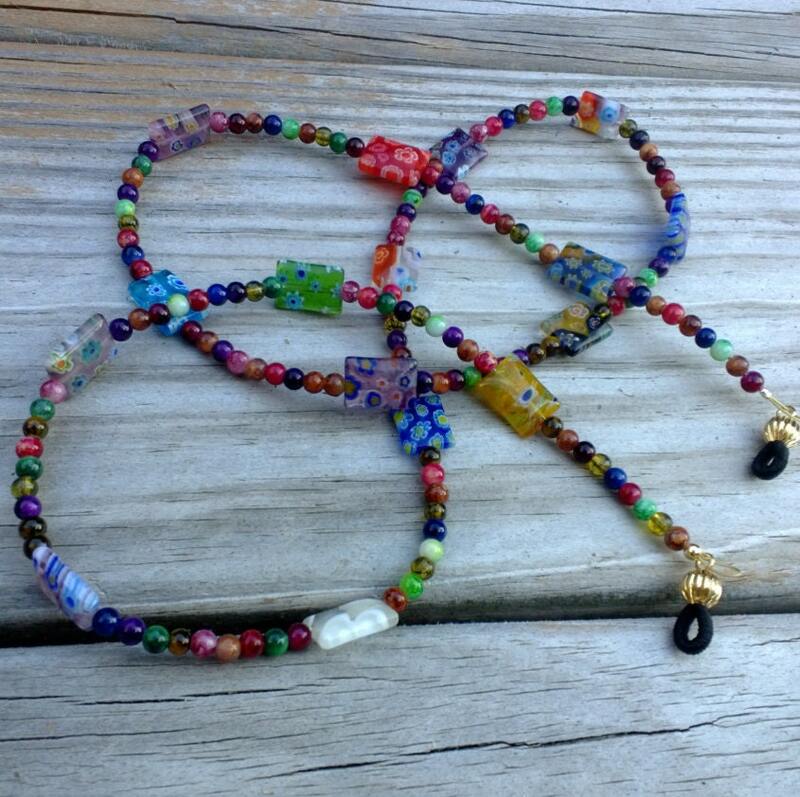 Each eyeglass chain is unique in that the handmade beads are all different. No two chains are exactly alike. 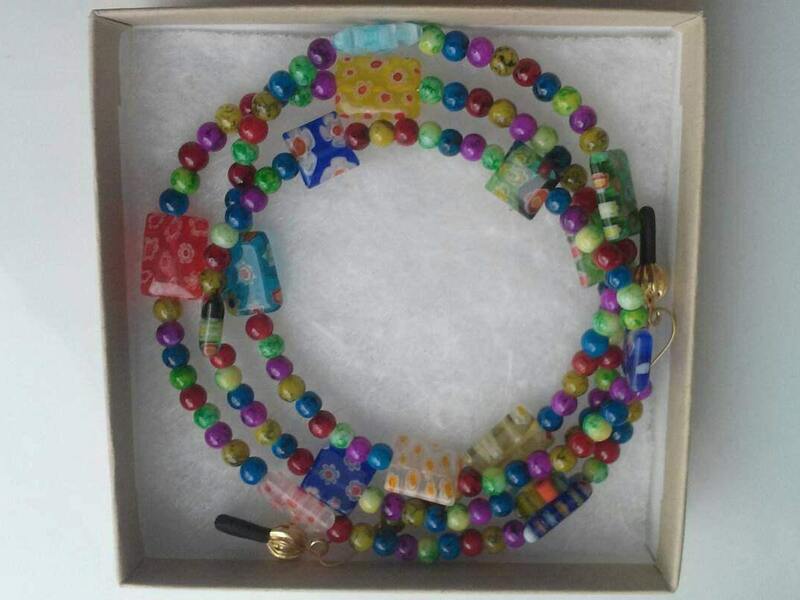 This eyeglass chain is an original design created by Michele of MichelesAManoDesigns. These are so beautiful! Everyone comments on them and I wear them everywhere. I like feeling like I always have a beautiful necklace on, even though they are my glasses chain. Love them so much! Just another awesome chain with color splash galore !! I instantly fell in love with this one !! Great customer service ! What a great selection of chains to choose from !!! Ty ! This chain is quite nice. I believe these are quite in. Thank heavens! Great because I see distance well but keep bifocal glasses close on a chain for close work. But I find these a little heavy. Love it! Very nice too!